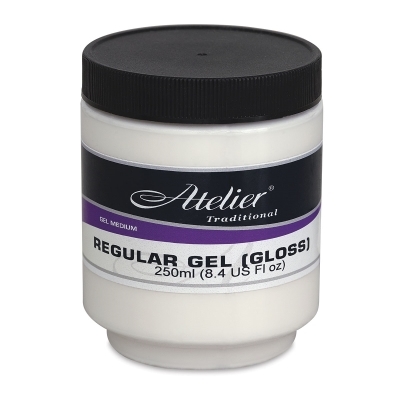 Available in both Gloss and Matte finishes, this smooth, buttery acrylic gel can be used to extend acrylic paints and adjust their gloss and transparency without altering their consistency. An ideal glazing medium, it also holds textures and moderate peaks for impasto effects. Mix it directly with acrylic paints or apply it on top of a paint layer (its milky color becomes transparent when dry).